Regular mopping and spot cleaning are not sufficient to remove the hidden dirt deep within the porous surface of your grout lines. Wouldn’t you like to achieve the desired results that come with professional tile and grout cleaning? Our trained technicians determine the proper treatment process and cleaning products based on your particular floor type and usage. We use advanced equipment to expertly remove dirt from your tile and grout, taking extra special care to protect surrounding surfaces. After your tile is sparkling clean we apply a finishing coat of our clear or color sealant to protect your grout and keep it looking like-new for a long time. Our sealant creates a protective coating that gives you time to clean spills before they become permanent stains and to ensure that with normal cleaning, you’ll achieve the best possible results. 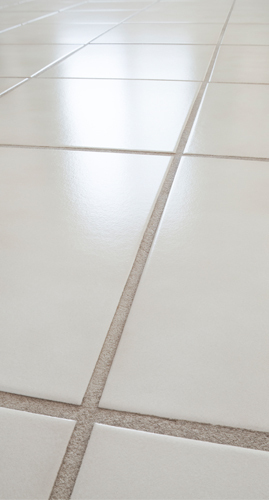 Clean, protect and restore your tile and grout for a fraction of the cost of replacement.